Are you looking for an all-new 2018 Subaru Outback 2.5i Limited near Denver? 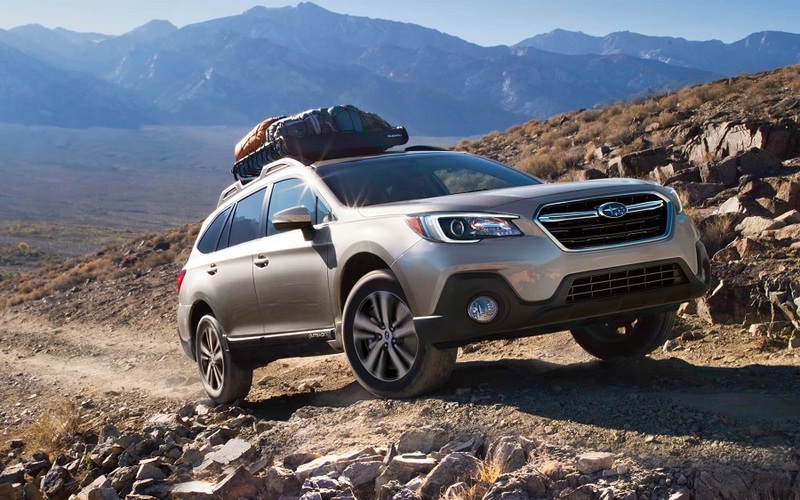 If so, you should read this 2018 Subaru Outback review and contact Flatirons Subaru for quotes to Denver Boulder Fort Collins Colorado. This vehicle doesn't have many noticeable changes from the 2017 model, Subaru has made a few important changes while keeping everything else owners love about their Subarus the same. In addition to changes made to quiet road noise, the exterior now features C-shaped LED running lights, reshaped headlights, a new bumper and grille, and a redesigned front cladding that better protects against paint erosion. The 2.5i Limited trim comes with standard 18-inch alloy wheels, a design which is all new for 2018. 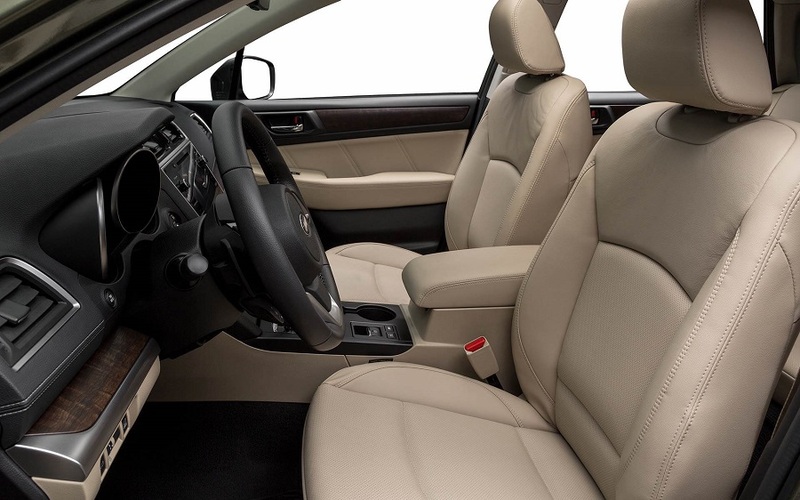 As with the 2017 model, you can take your pick of over a dozen exterior trim colors, all of which match beautifully with your choice of the black or gray interior color schemes. The 2018 2.5i Limited retains a rugged and athletic appeal without looking bulky or unsophisticated. The 2018 Outback's interior has been muted a little bit by the changes made to the vehicle's exterior. The cabin is noticeably quieter than its predecessor thanks to the installation of a brand new sound-insulated front windshield. Additionally, the transmission on the 2.5i is significantly more hushed, and there are now thicker wheel-well trims in the rear that help to block out ambient sound. The interior materials look more high-quality than the 2017 model, and the new steering wheel is nicely paired with a redesigned center console. There are plenty of interior colors to choose from, including the new Titanium Gray. The clock is also redesigned, and the AC pumps out cool air better than any previous system. 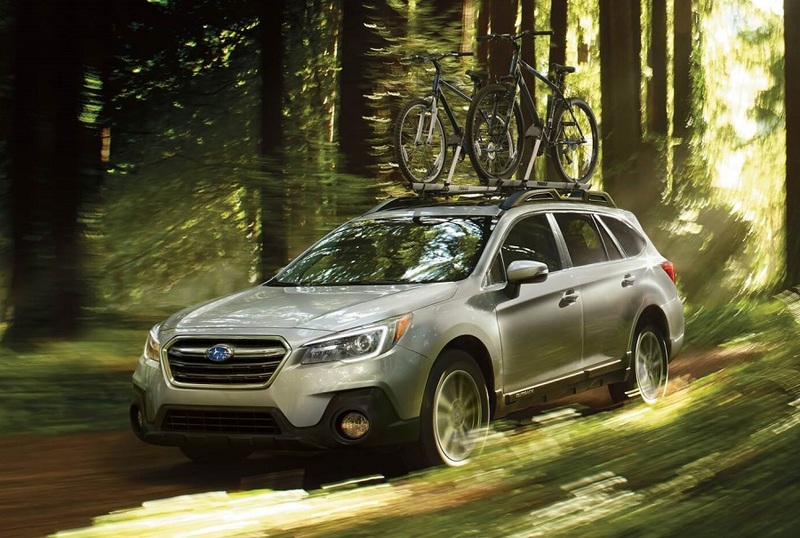 There aren't too many drastic mechanical changes that have been made to the 2018 Subaru Outback. Drivers will notice that the suspension has been tuned to provide a much smoother ride than the 2017 model, which was fairly smooth due to some re-tuning conducted on that model prior to its release. Since the wind and road noise have been blocked out by better insulation and redesigns made to the transmission, drivers should have a better overall ride experience in the 2018 2.5i Limited. Also, the braking system has been revised for this year. The 2017 models are notorious for having soft and spongy brakes, especially when driving on main roads. The 2017 models also have a rather poor emergency stopping distance at 123 feet from 60 mph. The company has taken these consumer concerns into consideration for 2018 and have made the braking system a lot more solid, so drivers should feel more confident when laying on the brakes. Still wanting to find a 2018 Subaru Outback 2.5i Limited near Denver and want to get quotes to Denver Boulder Fort Collins Colorado? The engines from the 2017 models all carry over unchanged on the 2018 models. The engine on the 2.5i Limited keeps its 2.5-L 4-cylinder engine, which is capable of generating 175 horsepower and 174 lb-ft of torque. This particularly powerful engine is paired up well with a continuously variable-speed automatic transmission (CVT). The CVT now comes equipped with a 7-speed manual shift mode and paddle shifters. Additionally, the manufacturer has noted that the 2018 CVT has been redesigned to have a smoother response than that on the 2017, which is known for being rough and does not inspire enough confidence in some of its drivers. As with every vehicle the company puts out, all wheel drive comes standard on the 2018 2.5i Limited. In fact, you won't find many other companies who standardize all wheel drive across their lineups. 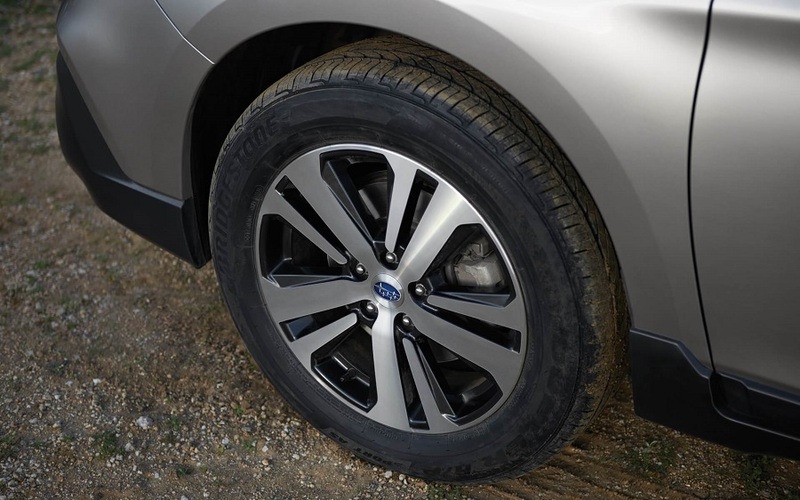 Those who live in rough winter climates or who frequently enjoy going off-roading will appreciate the refinement of the all wheel drive on the 2018 2.5i Limited trim. To round out our 2018 Subaru Outback review, we will discuss the safety features and performance on the 2.5i Limited. New for 2018 is a revised reversing camera that now has guidelines that allow the camera to curve along with the car's steering. Also, the tire-pressuring monitoring system now shows drivers the pressure in each tire. Drivers who have children will appreciate the improvements made to the LATCH anchors for the child safety seats. On the 2018 2.5i Limited (and on the Touring trim as well), the blind spot warning system now comes standard, and the warning light is now much more visible thanks to its larger size and more intuitive and obvious placement. Drivers can also subscribe to Starlink, which offers helpful features such as SOS emergency assistance, remote vehicle locator, and automatic collision notification. Drivers will also appreciate the much larger Starlink infotainment touchscreen interface, which is much more driver-friendly and easier to use while driving. If you are looking for a 2018 Subaru Outback 2.5i Limited near Denver, give Flatirons Subaru a call today. Ask them for their quotes to Denver Boulder Fort Collins Colorado. 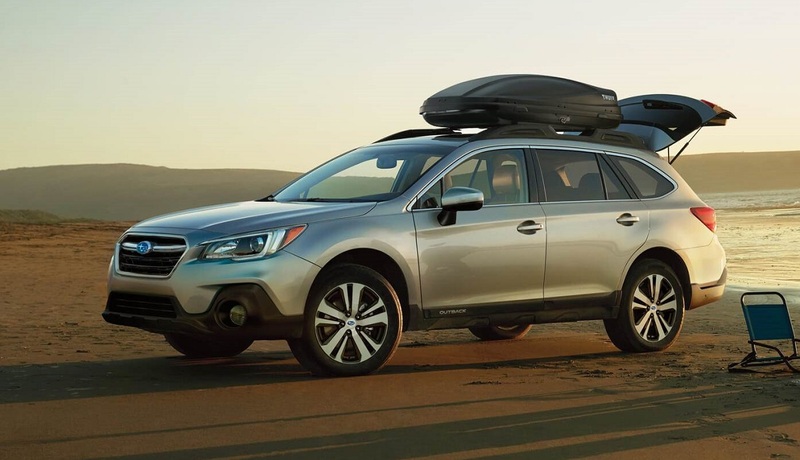 The friendly staff at Flatirons Subaru can give you more information than what is contained in this 2018 Subaru Outback review and will let you know how you can get behind the wheel of an Outback 2.5i Limited trim for a test drive.